Reviews | Live a life worth writing about. A review of basically the best book ever. Hello, hello! I hope you all are having a wonderful beginning to fall/school year/not summer! I have been a little MIA lately, as school began and we all know that can be a handful sometimes, but I’m sure you will be seeing more of me soon. So, back in March I began writing, writing, writing, writing, which began fuelling an interest for reading for me. I wouldn’t necessarily call myself and avid reader, but I do enjoy some books here and there. Over the summer I read about four books and like them all thoroughly, but two stood out to me specifically. I originally found the series off of a tumblr blog (surprise, surprise), and ended up getting my friend hooked on them to the point that we drove about a half hour away to go to the next town’s Chapters. Yeah. Let’s just say it was worth it. 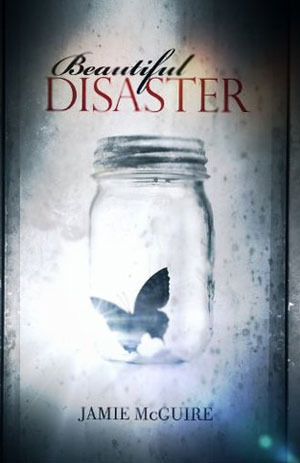 Beautiful Disaster is about a nineteen year old good girl with a troubled past who ends up crossing paths with a tattooed bad boy who sees quite highly of her. The two end up undergoing a bet that twists end turns their relationship, and basically makes the whole story. To sound the least cheesy as possible, I have to say that this story sort of changed my whole perception of ‘love’. I think it’s pretty awesome when a book alters you. I would highly recommend reading it; it’s by far my favourite. The sequel–Walking Disaster– is the exact same story (with a more into the future epilogue) but features Travis’s point of view, who is the male love interest. If you like romance novels, this one is really amazing! And, to put the candles on the cake, it seems to be coming out as a movie…. For more information and a much better synopsis, you can click here! Hello there! So I’ve got a bit of a new issue. Gossip Girl has taken over my life just the slightest bit. Haha, well let’s just say that I’ve finished the whole series in a month. That must mean that I’ve watched an average of like four episodes a day. Yep. But, the main reason for this post, to talk about how much I love it, and not how little of a life I’ve got here. So as I said, I started watching GG at the very end of December, and as of today, I’ve finished all six seasons! I am so deprived right now. If you cannot already tell, I adore this show. I knew I was going to like this show from the very first episode that I watched. The show is basically about ‘Manhattan’s elite’. The show starts off with a bunch of billionaire teenagers that are all trying to live their lives avoiding the blog ‘Gossip Girl’. Nobody knows who Gossip Girl is, but they know who they are. Gossip Girl posts about their daily lives and forbidden secrets. Think A from PLL, but not so gory and death threatening. Gossip Girl doesn’t want these people dead, she just wants to be in control and powerful. I can’t say too much without spoiling everything, but the show is just about these teens’ (and into their twenties) lives. Dating, parents, school, shopping, trips, stuff like that. I think one of the reasons why I like the show so much is because I really love the characters. I think they did a great job with making the characters generally good people. Blair and Serena were the two main characters in my mind, and I loved both of them. I’m not usually like that. For example, with Pretty Little Liars, I only really like Spencer and sometimes Hanna, and the other girls I’m not really a huge fan of. I guess what I’m trying to say is they did a good job with explaining the characters’ lives, and making them somewhat relatable. Even the characters I really didn’t like, I was still interested in their stories. So my thoughts on Dan being Gossip Girl….I don’t think it was really that special to be honest. I came across a YT video with the title: Dan is Gossip Girl!! a while back, so I was really mad that I knew who it was. But for me, I think they slowly revealed he was GG. They didn’t just come out and say it randomly and we were all shocked. Within the last ten or so episodes when everyone started freaking out and backstabbing each other was when I really started to dislike Dan and realized with all of his writing about other people he was doing, it could make him a good GG. I only really liked Dan when he was with Serena in the first season, and then he really started to be an ‘outsider’, and he became a little boring. I hated Dair so much! SO MUCH. The episode when Chuck was going to propose to Blair, but then Dan punched him, I am not kidding, I had to google it and spoil it for myself to make sure that in the very end Blair and Chuck would be together. NOT KIDDING. Chair sort of made the whole show for me when I they sort of started focusing more on them. The whole series I was just waiting for them to get married. It’s funny because it wasn’t one of those things like Dan & Serena where they started dating and then you just longed for them to be together, for Chair it was more of a ‘silly’ reason why they got the idea of them being together, and then it just sprouted from there. The episode of them in the back of the limo together didn’t really make me like them together, but later in the series it did. I would of changed a lot of things in the series, especially the last 15 episodes or so. The characters just completely had a major freak out and hated each other. With Dan writing all of these things, and Bart & Lily, and Rufus with a freaking 1/2 his age Ivy, and William VDW, it was just all sort of heart wrenching when they all just completely hated each other. I wish they would have done that earlier in season five and then gotten all back together earlier so that it wasn’t so sudden at the end. I really do hope there’s a movie! It’s probably unlikely, but I am so bummed that the show’s over! It was my all time favourite show, and I just felt so ‘connected’ into everything. The writers did a great job. I also loved the whole fashion and New York spectrum of the show. The girls (& guys!) were always wearing amazing outfits to match all four seasons, and I really enjoyed seeing awesome backgrounds including Cali and Paris. So that’s all I’m going to get into for today! If there ever is a movie on this show in the future, I will absolutely do a post on it, haha. And, expect maybe some Celeb Styles on the characters in this show because I got so much inspo off of them. If you haven’t watched Gossip Girl, PLEASE watch it. You have NO idea how much I loved it, and I’m sure you will too! Talk to you soon! Thanks for reading! Pictures from here, here, and here! Hey guys! Sorry I’ve been a little MIA (only for a week…but whatever!!). I have a few things that I wanted to haul for you! 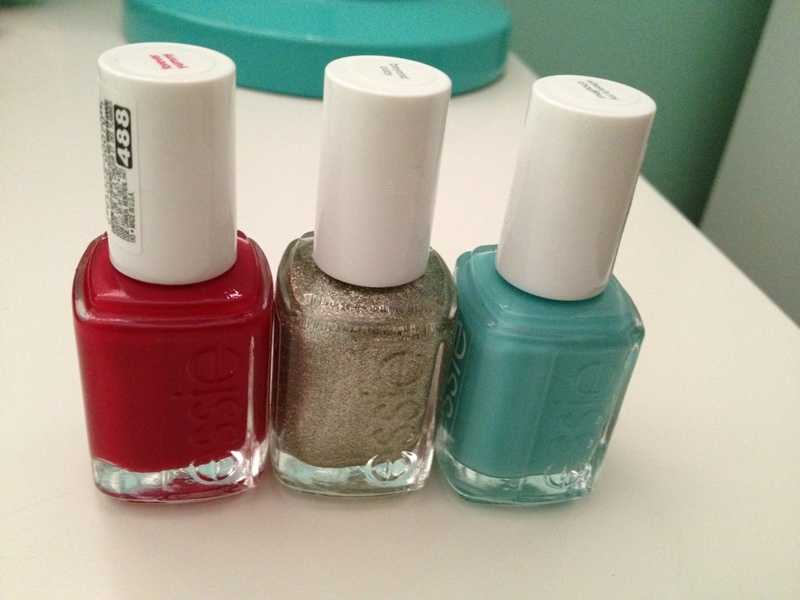 My new nail polishes I will show swatched and reviewed as I wear them. It’s sort of a small post, but that’s OK! Especially because this is my second post of the day! 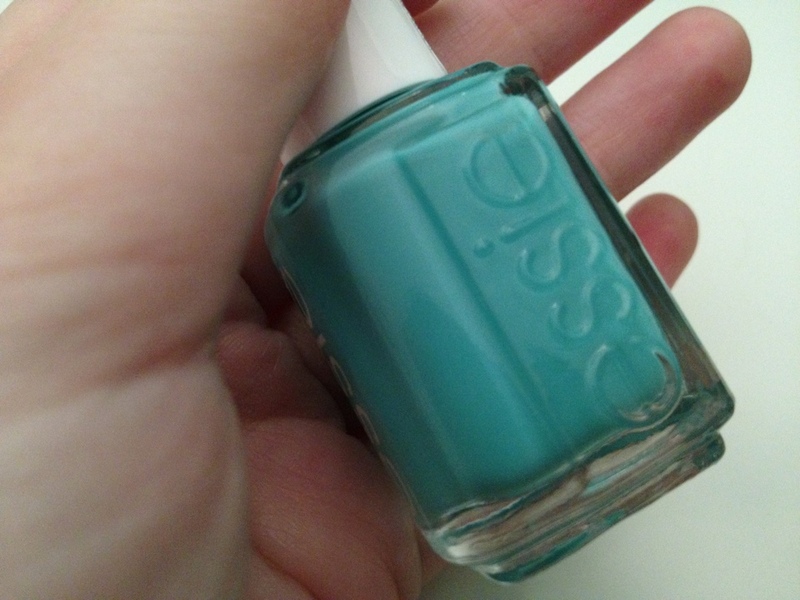 So I will start off with the polishes! 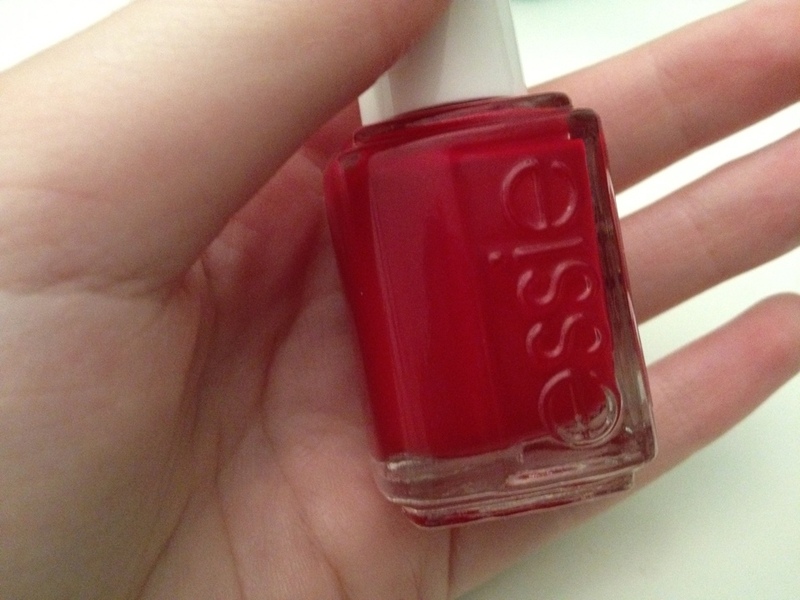 Forever Yummy, a perfect deep-autumn-red colour. So so so so so obsessed! I finally got sunglasses! Now my eyes kill me whenever it’s sunny and I don’t have them on! 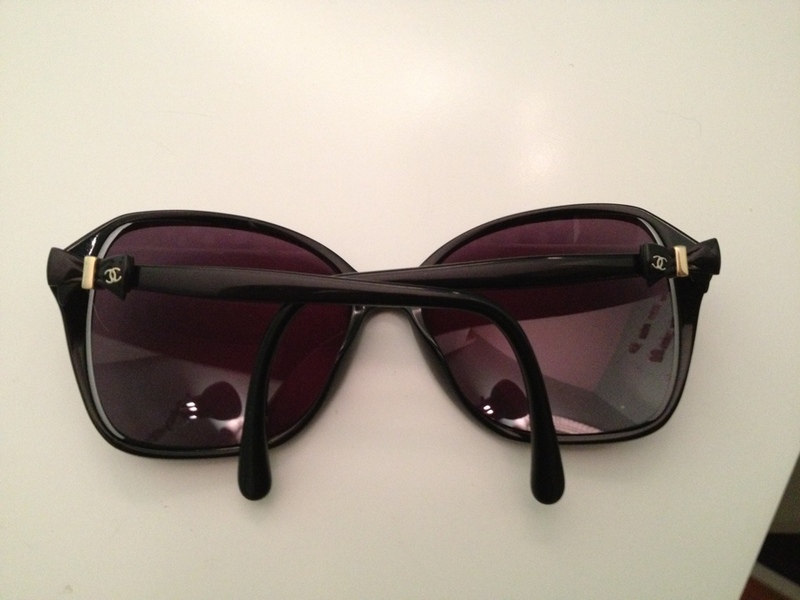 So I got prescription sunglasses about a week ago, and I adore them! 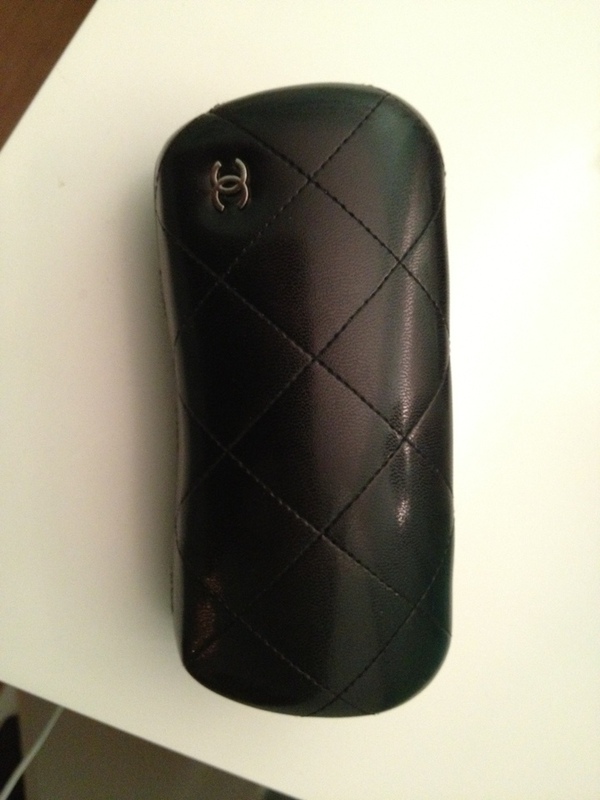 They are of course, by Chanel, and they have little black bows on the side! I believe the style # is 5205. You can of course google image them for better pictures, but I just wanted share! They are pretty large, but that’s super classy in my mind, so I thought, hey, why not have a little more classiness in my life, it can’t hurt. I have wanted a pair of large sunglasses forever, but since I have prescription glasses, I can’t wear regular non-prescription sunglasses. Long story short, the guy that I got my last pair of sunglasses with WOULD NOT let me buy big ones because “they didn’t fit my face”. Well guess what buddy…I got them and I like em. I even went in there to get them sized around my face and showed them off in his face. He despised them. How pleasant. LOL anyways, I don’t care. 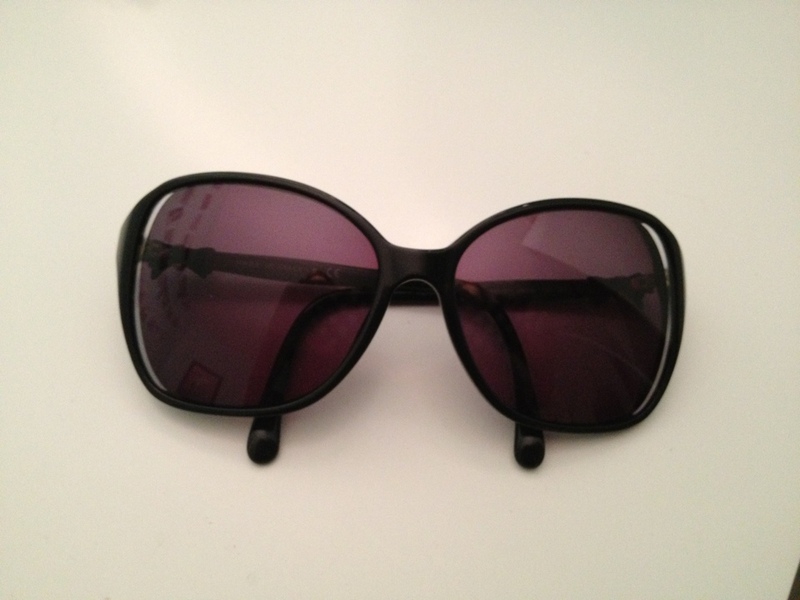 I love my sunglasses, and really recommend them! So yeah, that’s my little post! I just posted ‘My DIY Peter Pan Collars’ if you want to check it out! I will be blogging a lot in the next coming weeks (I hope), so be on the look out! Talk to you guys soon! Have a good one! Hey guys! Today I have a review for you! The other day I received a ring in the mail. I have been wanting an everyday ring forever now, and I have been through tons of rings that keep breaking, or made my skin green! 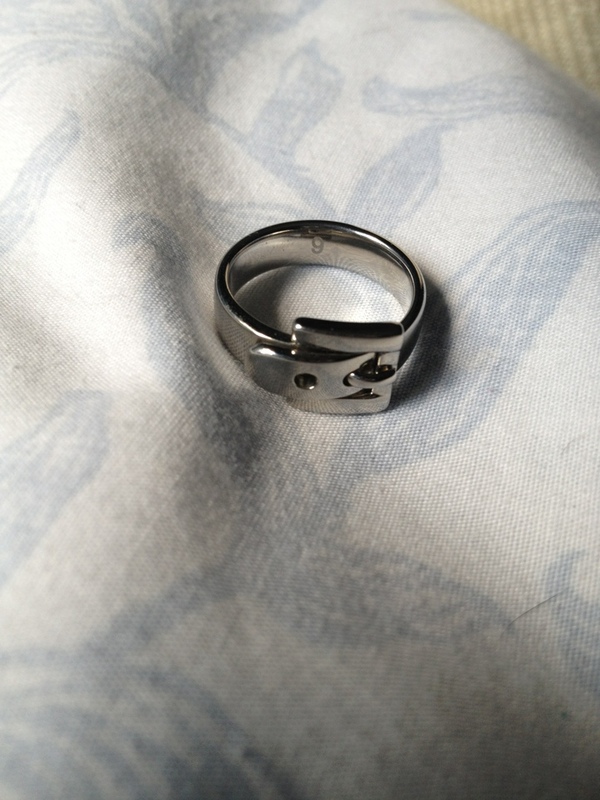 I finally bit the bullet and bought a well-made more expensive ring, and I am going to review it! Ever since I saw this picture from missellefowler (allthatglitters21) on instagram, I knew I was interested in this ring. I really like classic but sort of edgy pieces of jewelry, and this fit in perfectly! 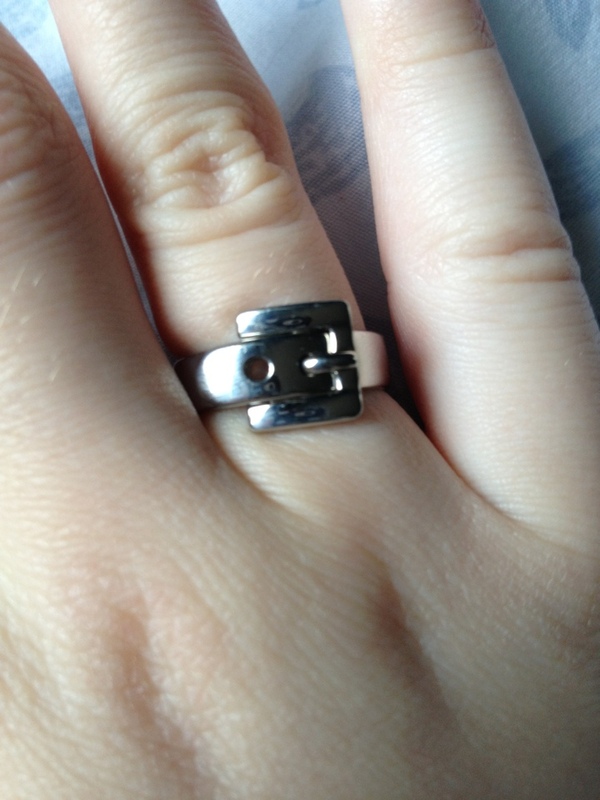 It’s a Michael Kors Buckle ring in silver! Yay! You may be wondering if it actually unbuckles, which it doesn’t. You can buy it here if you’re in the states, and here if you are international (or just Canada, I’m not too sure!). It also comes in rose gold and gold. I personally like the silver just because the rest of my jewelry is silver. I believe this also comes in colours but in a slightly different style, and bracelets that are buckles. Click here to browse their different buckle options! The ring as I said comes in lots of different options, in a size six or seven. The style that I got was I believe $68, and together with shipping it was around $100. It is a very heavy-duty build, so it definitely won’t break on me!! Online in pictures it can seem a little deceiving, and looks a little big and manly, but on the hand it looks amazing! I am very impressed! 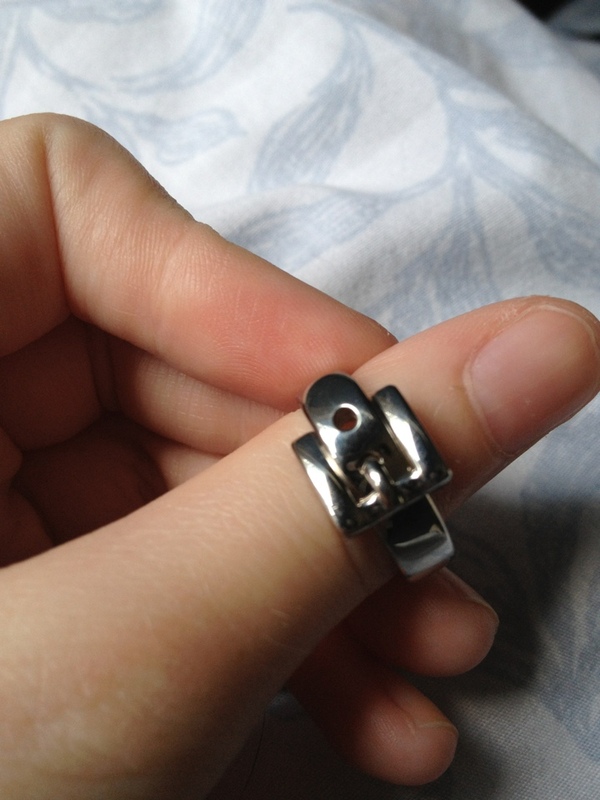 I am very tiny and have very tiny fingers, and it in no way looks clunky. I got a size six, and it fits sometimes on one of my middle fingers (the other one is swollen, arthritis sort of recks it!!) and my non-marriage ring finger. It is also engraved with the MK font on the back. Here are a few pictures of it on my hand. Hey guys! 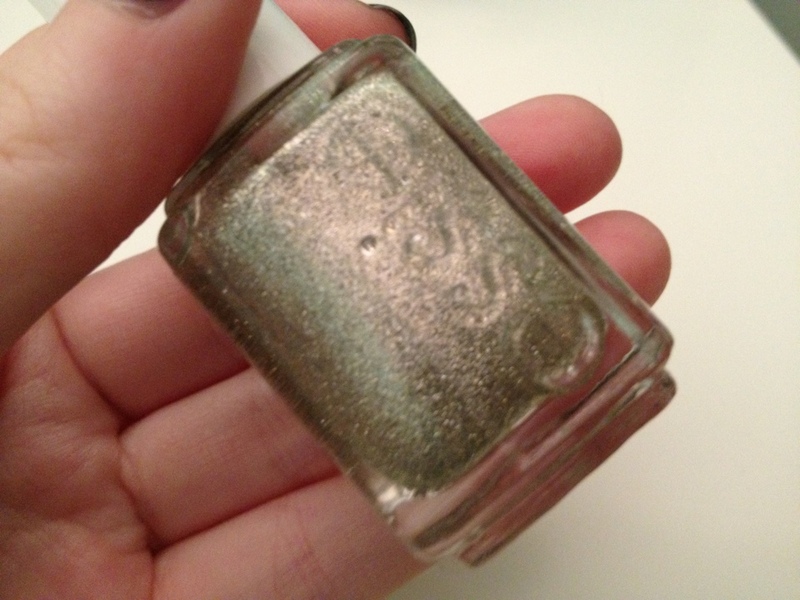 So today I have a review coming to you! A long time ago, I downloaded this app, and then stopped using it. Well, I have just recently re-found it and I love it! 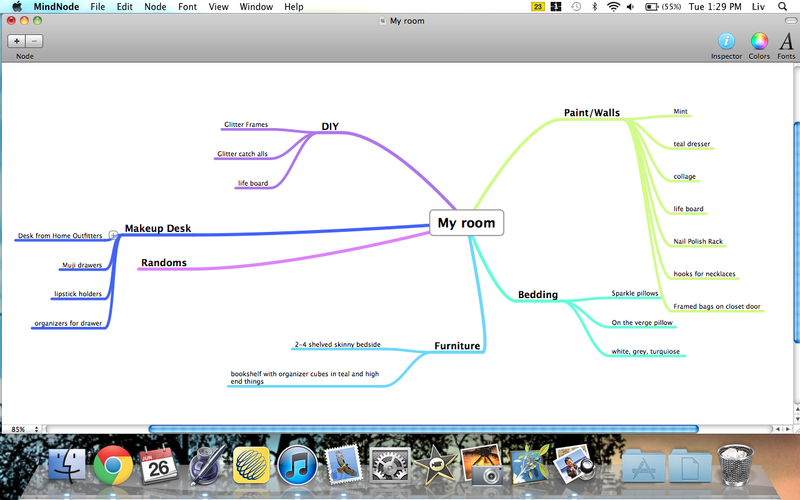 It’s called MindNode. It is a app that can be found at the app store (on the mac too) that allows you to make webs for lists. For example, if you want to do a list on things to do in the day, you can have groceries, cleaning, and randoms branching off. Then, you can have things like cleaners, fruit, and dessert branching off groceries, and then have things like strawberries, grapes, and oranges branching off of fruit. It is a lot more organized than making one of these on paper too, because I find that I always run out of space. Here’s an example. It’s one that I made for my room when I re-do it. Anyways, I gotta go! Graduation tonight! Woohoo! I promise I’ll show you guys pictures! Oh, and I only have two more days of school, and then expect the rest of my Europe trip to be uploaded, and my Quebec trip! Talk to you guys soon! *and check my instagram out for more pictures of grad!! Link below. Spring into Summer: The BEST Flip Flops Ever! So, summer is coming, and I don’t know any girl that doesn’t wear flip flops. Being in Florida for three years, I have discovered the most comfortable flip flops ever! I’ve seen them where I live, which is pretty rare, so I’m sure you can find them where you live, but I am pretty sure that you can order them online as well. They are by the brand Sanuk, and they are their yoga mat flip flops. They don’t come in a huge range of colours, but they have all of the colours you need for basics. I have a turquoise pair, blue pair, and white pair, and my Mom has a brown pair, a gold pair, black pair, and white pair! We have so many combined, so obviously they are great! The bottoms are actually made out of yoga mat, so they are incredibly comfy. I think they are about $25. I got my white pair like 2.5 years ago, and they are just starting to get chunks taken out of them, but are still wearable, so they will probably last this summer. They are very plain and basic, but are nice for everyday. Here’s a link to the ones I’m talking about. They also have a ton more different styles that they’ve recently added! Wow! Yay! I’ll be getting some more for the summer…. (All of the ones titled Yoga ______ are the ones that have yoga mat bottoms). Totally check them out! They’re worth it! Talk to you soon! Bye!